9770 ft (2978 m) . 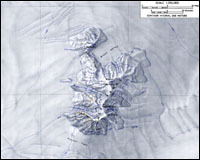 Mount Andrus is the highest and oldest of three overlapping shield volcanoes which form the Ames Range, located about 60 miles (100 km) northeast of Mount Berlin. The other volcanoes are Mounts Kosciusko and Kauffman, which are several million years younger than the roughly 11 million year old Mount Andrus. 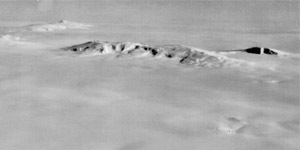 Despite their age, both Andrus and Kosciusko have well preserved summit calderas about 3 miles (5 km) and 2 miles (3 km) in diameter respectively. Even more surprisingly, there is a small parasitic cone just west of the rim of the Andrus caldera which has been dated to less than 100,000 years. This is an exceptionally long gap of over 10 million years since the main shield of Mount Andrus was constructed. 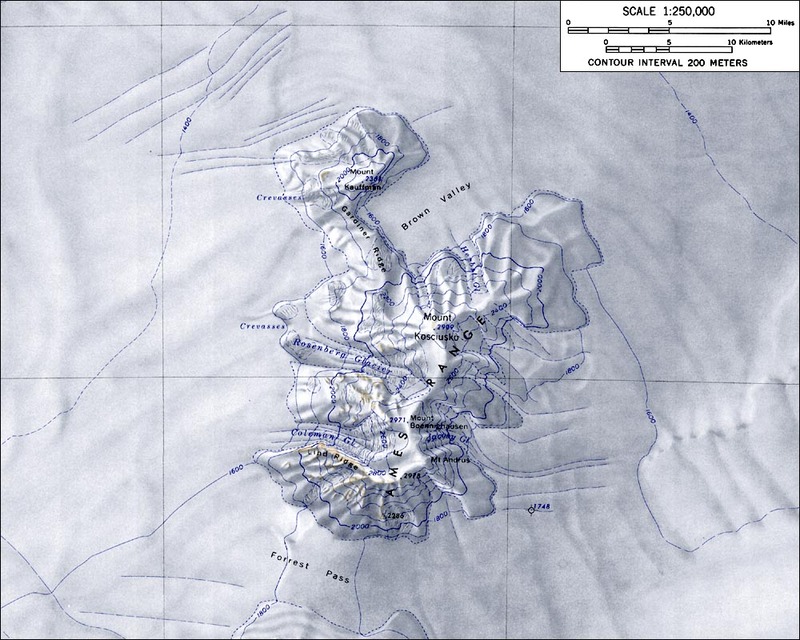 The entire Ames Range is completely surrounded by the West Antarctic Ice Sheet, with an exposure above ice level of about 4500 ft (1400 m) on the west side and 4000 ft (1200 m) on the south and east sides.